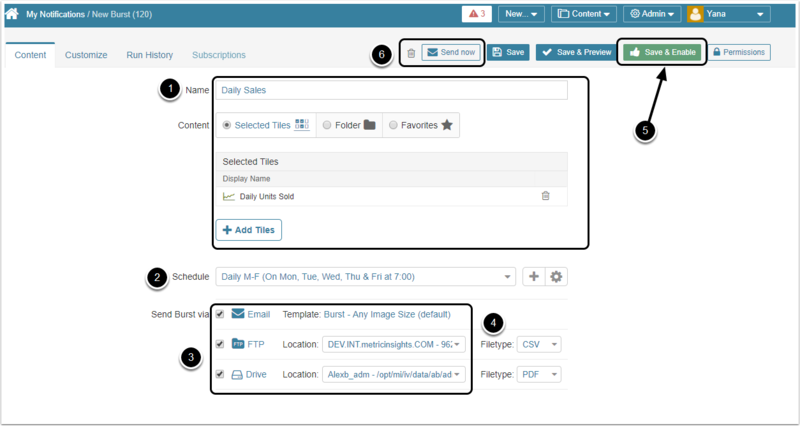 This feature enables users to post content to FTP and Shared Drives. 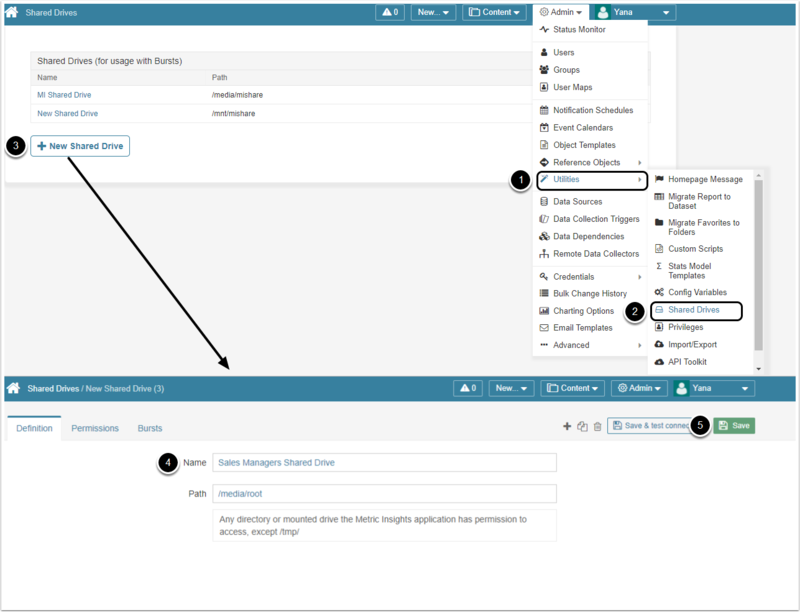 Version 5.2.1 allows to set up and manage Bursts via FTP and/or a Shared Drive in addition to, or instead of, sending them via email. Users must have "Create FTP Connections " Privilege to be able to create and edit FTP connections. Shared Drive can be created by the Admin only. 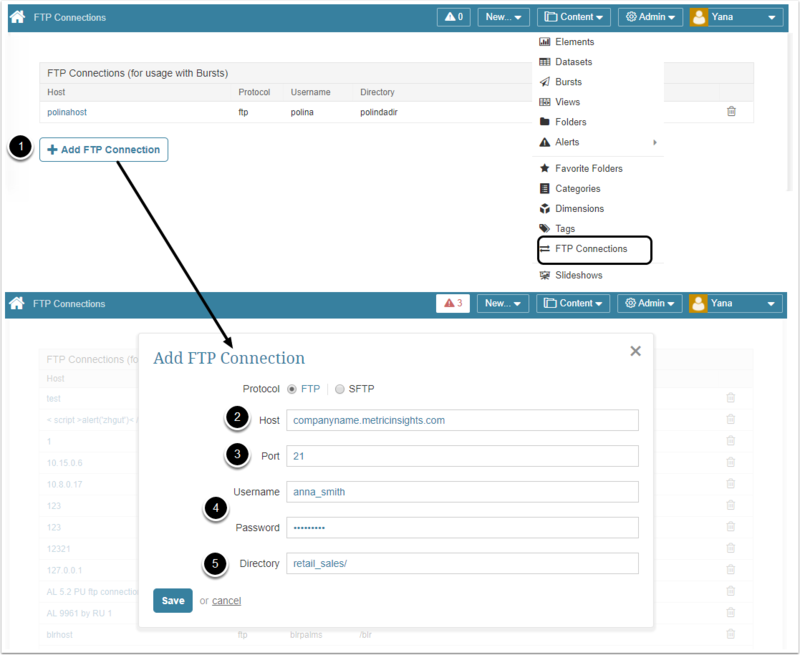 Users can register one or more FTP Servers within Metric Insights and specify access credentials for each server. Only admins can create Shared Directories. Users can only burst to shared directories to which they have access. If any failures occur when Bursting to FTP, a “File Upload Errors” email will be sent to the Burst Creator. Notification of Burst failures to Shared Drive will be implemented soon.